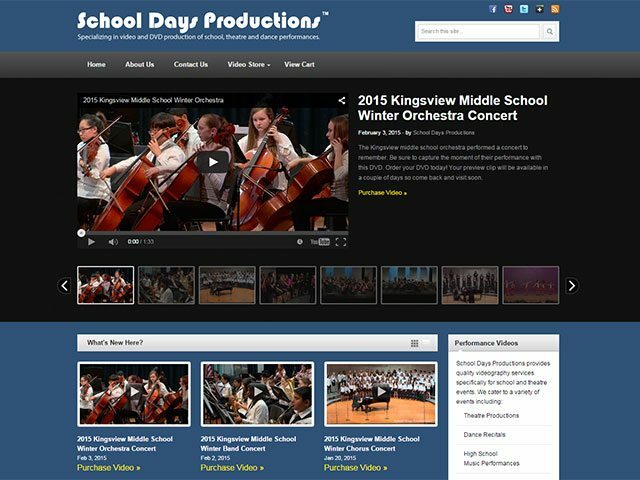 Trumpet Marketing created a video promotion website for a local videography company specializing in school, theater and musical productions. This website was built on WordPress platform with the ability to add videos. We also added in a shopping cart feature with gateway integration to allow folks to purchase DVDs and digital downloads of productions. The website interfaces with Facebook and Twitter for automatic posting.